Jason's parents about baby, click here to read that post! And if you missed the post about how we told my parents, click here! Once the siblings knew, I began mailing out pregnancy announcement cards to my extended family. 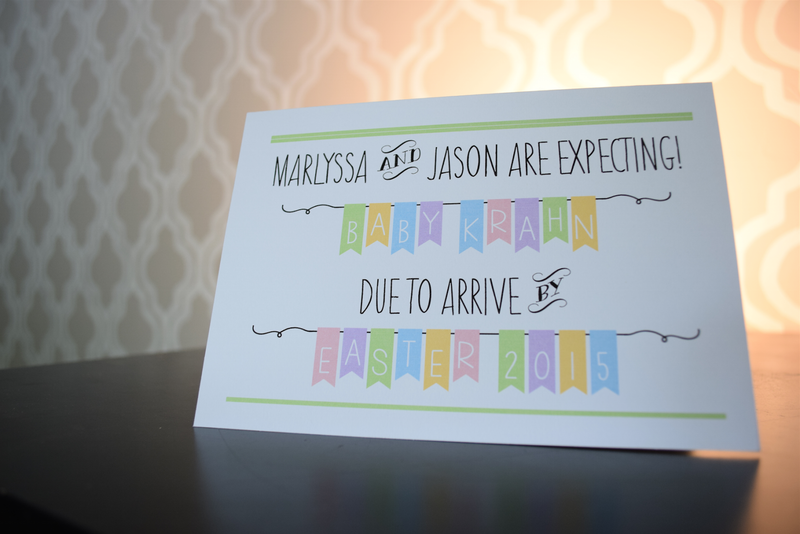 After that, Jason and I made a few calls to close friends before we officially announced the news on Facebook! 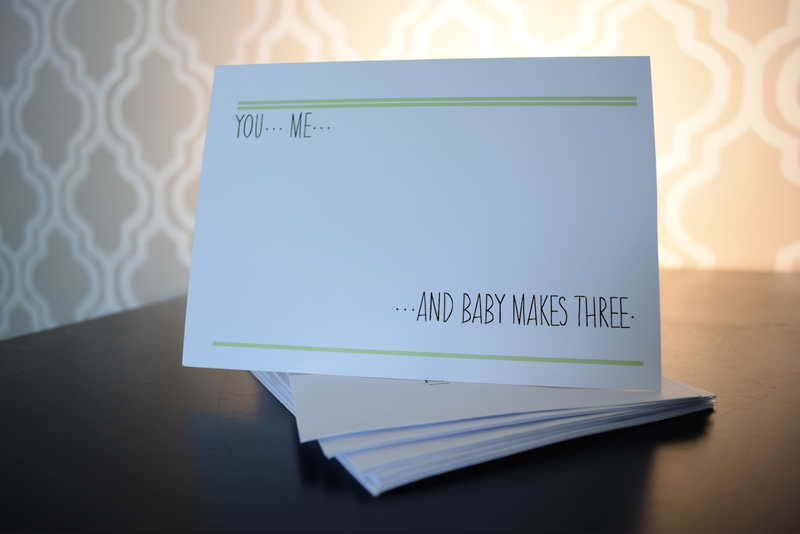 I designed the cards myself using free fonts (information on the fonts used below) and gathered inspiration from pregnancy announcement cards I had seen on etsy. The design is gender neutral with Springtime colors for a Springtime baby, the banner text and uppercase text add a juvenile touch while the "and" and "by" chalkboard-style saloon font adds a vintage and quirky feel. "You... Me... ...And baby makes three." "Marlyssa and Jason are expecting! 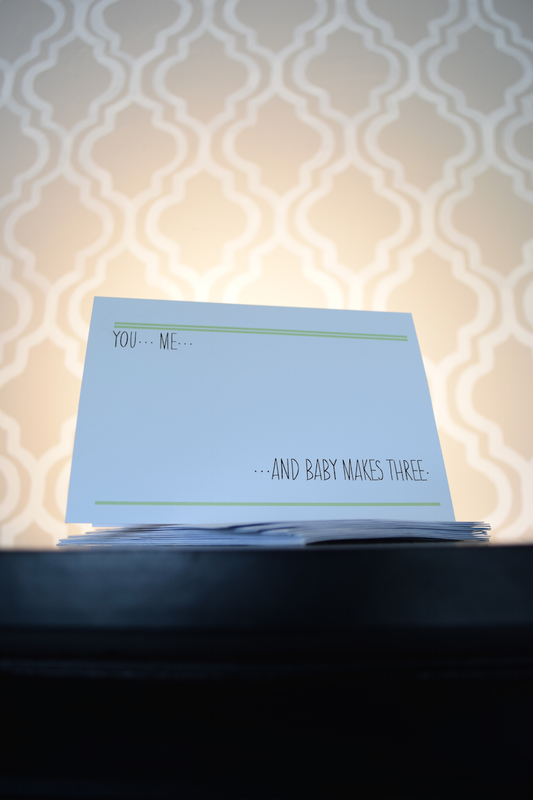 Baby Krahn due to arrive by Easter 2015"
I designed the cards on Word (seriously) and printed them out at home on blank 5x7 folded card stock greeting cards that I purchased from eBay here. The fonts I used for this card are free downloadable fonts from dafont.com.